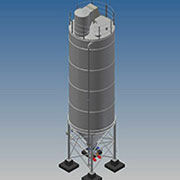 Each silo from the standard range of Bulk Technik bulk product storage silos is statically calculated for the given material bulk density/properties and geographical location. 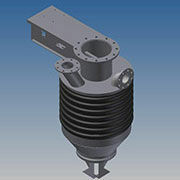 Telescopic loading spouts are generally used for dust free, gravity feeding of product from a storage silo into bulk a road tanker. 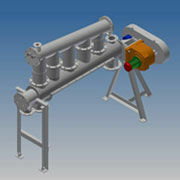 Essentially a loading spout consists of a fixed filling head which is fitted to the discharge valve of a silo. 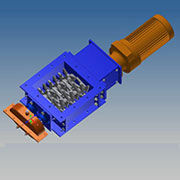 The Bulk Technik designed dosing feeder is suitable for micro dosing of granular products. 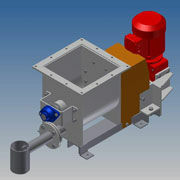 The dosing feeder essentially consists of a tubular screw flight that is driven by a geared motor and feeds product at the required rate into the discharge adaptor.